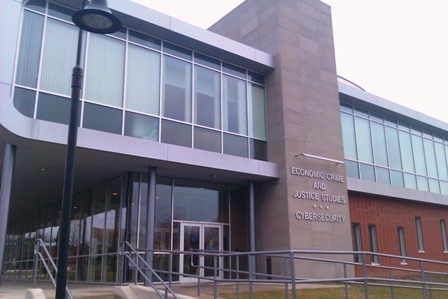 I have had the opportunity to visit Utica College this month and to be able to attend their exciting residency for their Master’s degree in Cyber Security Intelligence and Forensics. Mr. Joe Giordano, Program Director at Utica College, was very kind to give me a tour of their lab and to explain Utica College’s strategy for 2012. Utica College is a CSFI educational partner, and I am looking forward to continue developing our relationship. 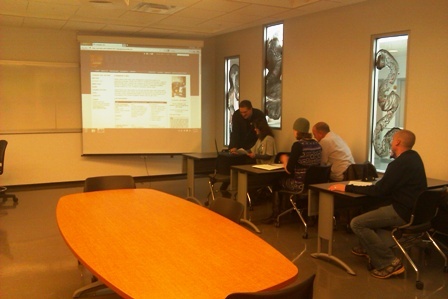 Utica’s online MS in Cybersecurity – Intelligence and Forensics trains students to proactively address ever-changing attack and infiltration techniques. A leader in economic crime programs for over 20 years, Utica designed the program in response to calls from cybersecurity professionals for a graduate-level program that combines state-of-the-art practices in intelligence and forensics. I was very impressed with the quality of their classes, the overall organization of their staff and the excellence of their professors. I participated in some of the labs, and I was glad to see that hands-on exercises are definitely present in this course. The lectures were very interesting and valuable. Classes such as Cyber Counterintelligence, Domestic Terrorism & Extremist Groups, Counter-Terrorism & Cyber Conflict, Critical National Infrastructures & National Security, Advanced Telecommunications and many other classes are guaranteed to train and educate our future cyber warriors. The return on investment is clear and definitely present. I highly recommend the Master’s degree from Utica College and recognize their uniqueness in being one of the few educational organizations to offer a track on Cyber Intelligence in the United States. Please feel free to contact Mr. Giordano at jgiorda@utica.edu for more information on this exciting and innovative program.